At KindPen, they are acutely aware of what is necessary in a portable vaporizer, narrowing down options to create only the best vapes with the most sought-after features. The Kind Pen specializes in making herbal vaporizers that are simple to use and create smooth, delicious vapor. When browsing through products offered on our site, you'll notice that this brand offers essential oil vapes, portable herb vapes, wax vape pens, and portable wax vaporizers, guaranteeing that there is something out there to meet your needs. On this page you will four gorgeous herbal vaporizers which are now available and we're excited to show them to you. Each one has its own unique features, but all of them deliver zero combustion, so let's take a look at what makes these so different! The Orion Vaporizer uses convection heating to ensure combustion is impossible. Its large, stainless steel chamber can hold up to 0.5 grams of dry material, and with a 30 second heat up time it will be ready to go in no time. 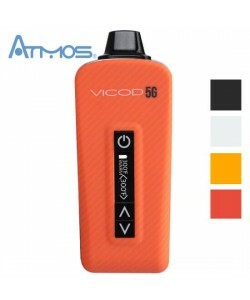 This vape features sliding temperature setting for use between 360 and 420 degrees Fahrenheit and a 6 minute auto-shutoff programmed within a sleek, matte black finish. It is battery powered and can be recharged with a universal micro-USB port, and all of its parts are backed by an industry's leading lifetime warranty. Kind Pen Status is another great convection vaporizer. It features a digital OLED display that showcases the battery life and temperature, which ranges between 350 to 430 degrees Fahrenheit, sligtly higher than the Orion model. Whatever temperature you set, its memory function will automatically heat to that temperature the next time you power it on. It has a ceramic chamber, in contrast to the stainless steel chamber of the Orion, which evenly heats the dry herb material and can hold up to .5 grams of material. Features a 5-click on/off function and a 5 minute shut off time for your safety. The battery lasts for 3-4 hours of continuous use, and can be recharged with the included micro-USB. All of this comes wrapped in a matte black finish and is also backed by a lifetime warranty. The Kind Pen TruVa is also a portable vaporizer suited for use with herbs. Its stainless steel chamber can hold up to 0.8 grams of ground material, more than both the Status or the Orion can hold. A 30-second heat-up time raises the temperature much faster than many others in the same category. You can choose between three pre-set temperature settings, 360F, 380F, and 420F. TruVa also features a 6 minute auto shut-off and comes complete with an extra mouthpiece, O-rings, and a cleaning brush. Finished in matte black, this unit once again comes with a lifetime guarantee. The Kind Pen TruVa Mini is a digital vaporizer that uses convection heating to ensure that there is zero risk of combustion. Powering this incredible unit is a super powerful 2200mAh lithium-polymer battery that delivers an impressive 20 second heat up time. A digital OLED display screen will show you what temperature you are using, which varies between 350 and 435 degrees Fahrenheit. On top of all of this, smart memory feature keeps track of your last temperature setting and immediately begins to heat to that point upon turning it on. The heating element is a ceramic chamber, with a .5 gram capacity to ensure plenty of room to load your herbs. Ceramic offers a clean tasting vapor and nice clouds. After 5 minutes of use, the safety shutoff engages to ensure that the battery does not overheat. The battery itself, at a full charge, can run for 3-4 hours before needing a recharge. To give it a new charge, simply plug it into the universal micro-USB port that is included with the kit. As you can see, Kind Pen has done it again by bringing fresh, unique, and innovative herbal vapes to the market. Each of the 4 models offered above has its own perks, so check them out for yourself and see what works best for you. KindPen offers a lifetime warranty on all vaporizer parts which is something that is not seen very often. The Kind Pen even offers an app that makes redeeming your warranty in the event of a malfunction simpler than ever before. By making warranty replacement parts seamless, you can get back to doing the things that you love. All you have to do is download and then register with the app, enter the serial number of your product and order your parts. 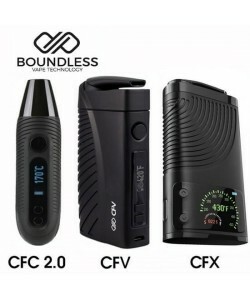 There are many Kind Pen options for portable vaporizers, but they all share similar features such as variable temperature settings, a fast heat up of 30 seconds to one minute and comes with kits that give you everything you could need. With so many options to choose from, it's great to have a reliable company who can provide you with just about anything you could need to vape happily and resourcefully. Q: When using the lifetime warranty, will I need to send my device back in? A: KindPen requires you to send in your product if you own the Orion, TruVa, or Status. Q: What pen does Kind Pen recommend for dry herbs? A: While they do have an abundance of pens, KindPen highly recommends the Status, Orion, or TruVa as they are designed specifically to work with dry herbs. Q: Will my unit come in discreet packaging? A: Yes. Every package is shipped inside of a plain yellow envelope with a return address. Easy to use and decently shaped chamber. I just got mine so there’s not much I can say, right now I’m enjoying it, hope it won’t disappoint me. Heat up time is quick, and holds dry herbs tightly inside the chamber seal. Wish the battery was stronger to hold the charge longer, but overall I am happy and great support! Used the Status for about a month now. Overall it seems to be a good unit, camber stays way cleaner than my APX. Battery monitor is useless it will say the battery is only down a 1/3 but then the unit shuts off. The Status battery doesn't seem to be defective because it does last longer than my APX on one charge, it's just the battery monitor is not accurate at all. I've also had it not charge when plugged in 3 times even though the mini usb was fully seated. May have to warranty for this issue, we'll see what happens. Lasts - Review by Sandy D.
I have had the Orion by Kind Pen for a while now and it has yet to let me down. Virtually no smell - Review by Robert E.
There is virtually no smell which is awesome and Orion is simple to use with its unique interface. Battery lasts forever - Review by Kathie C.
I love that the USB charge time is really low on this KindPen Orion vape. It takes no time at all and then the battery lasts forever. I like taking it with me when I leave the house and it offers a nice discreet way for me to vape. Great device - Review by Pamela J. The KindPen TruVa is a great device. It is simple to use and works like a charm. It definitely gets the job done. I can't remember the last time I got a vape that was this powerful for such a little pen. I recommend it to everyone I know. Automatic shut off - Review by Marcelle S.
Truva heats up really fast, so I can use it pretty much whenever I feel like it. The automatic shut off is also nice because I tend to forget to turn off my vapes when I'm done. I would definitely buy the Kind Pen vape again. Simple to clean - Review by Genevieve G.
TruVa is simple for me to clean which is something that I look for in a vape, because I do not like to spend too much time on maintenance. Ceramic chamber - Review by Alejandro B.
I love the ceramic chamber because it heats up my material easily. As advertised - Review by Jermaine M.
The TruVa is exactly everything that it was advertised as. I have not been disappointed with it yet and I have had it for quite some time. A bit of a learning curve - Review by Thomas N.
I will say that it comes with a bit of a learning curve, but after you get the hang of it, it’s not so bad to use. Kind Pen takes a little time to figure out how to get the right heat setting, but it's worth tinkering around with. No smell - Review by Karen J. This is my first-ever vape and I bought it on a whim. I definitely could not be happier with my purchase of the Kind Pen Status. This vaporizer removes all of the smell that normally came from smoking, so I can use it pretty much anywhere that I want to use it. Heats really quickly - Review by Timothy L.
The battery is really long lasting and when it comes time for me to charge it, it only takes a little bit of time. I also love that the Kind Pen Status heats really quickly. Because of the silicone mouthpiece, the vapor doesn't burn my lips which is nice. Easy to use - Review by Regina R.
I like that the buttons are so well lit which makes it easier for me to use it in the dark. Sturdy - Review by Jane B.
I like that the Status, feels solid and not like it's going to crack if I drop it. Feels comfortable and ergonomic - Review by Dreama D.
I love everything about the Kind Pen Status. I don't have to worry about it falling or rolling off of the table like I did with my other vapes, and when it's in my hand it feels comfortable and ergonomic. Low maintenance - Review by Bruce C.
TruVa is simple for me to clean which is something that I look for in a vape, because I do not like to spend too much time on maintenance. Truva heats up really fast, so I can use it pretty much whenever I feel like it. The automatic shut off is also nice because I tend to forget to turn off my vapes when I'm done. I would definitely buy the Kind Pen vape again. Simple to use - Review by Robert H.
There is virtually no smell which is awesome, and KindPen Orion is simple to use with its unique interface. Status has well lit buttons - Review by James M.
I like that the Status feels solid and not like it's going to crack if I drop it. I also like that the buttons are so well lit which makes it easier for me to use it in the dark. Flawless vape - Review by Barbara J.
I have had the Orion for a while now and it has yet to let me down. This KindPen product is flawless and only puts out a little bit of a smell so I can take it with me anywhere I go. Long lasting battery - Review by Faye J. The battery is really long lasting and when it comes time for me to charge the Status vape, it only takes a little bit of time. I also love that the KindPen Status heats really quickly. Because of the silicone mouthpiece, the vapor doesn't burn my lips which is nice. Great device - Review by Rocio A. The TruVa is a great device. It is simple to use and works like a charm. It definitely gets the job done. I can't remember the last time I got a vape that was this powerful for such a little pen. I recommend it to everyone I know. Not disappointed - Review by Moses S.
I have not been disappointed with TruVa vape yet and I have had it for quite some time. Removes smell - Review by James S.
This is my first-ever vape and I bought the Status vaporizer on a whim. I definitely could not be happier with my purchase of the Kind Pen Status. This vaporizer removes all of the smell that normally came from smoking, so I can use it pretty much anywhere that I want to use it. Battery lasts forever - Review by Michael A.
I love that the USB charge time is really low on this Orion vape. It takes no time at all and then the battery lasts forever, but I am not a heavy smoker. I like taking it with me when I leave the house and it offers a nice discreet way for me to vape. Getting the hang of it - Review by Ryan P.
I will say that the Kind Pen vapes comes with a bit of a learning curve, but after you get the hang of it, it’s not so bad to use. Kind Pen Status takes a little time to figure out how to get the right heat setting, but it's worth tinkering around with. Fast and reliable service - Review by Valerie J. The TruVa is exactly everything that it was advertised as. Thanks for the reliable service and shipping. Ceramic chamber - Review by Ella D.
I love the ceramic chamber because it heats up my material easily and even. Feels comfortable and ergonomic - Review by Robert T.
Lovely design - Review by Rebecca R.
KindPen TruVa wasn’t my first choice, but I went for this vaporizer because I really like the way it looks, it’s not your usual vaporizer. I have the the black one, and now consider buying the TruVa Mini one for my fiance, he keeps on borrowing mine. If it had rechargeable-replaceable batteries, it would have been perfect!